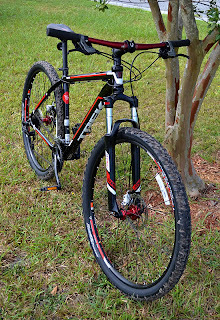 Trek has unleashed the Gary Fisher Marlin 29er for 2013. I say unleashed because the Marlin is a monster. It’s got a considerably larger wheel and tire combo than a traditional 26 inch mountain bike, enhancing it’s roll-over capabilities. The 2013 Marlin comes with a Suntour front fork with a lockout, so if you need to ride more street or smoother fire roads you can go from a plush shock to no movement in the shock with just the flip of a switch. This really helps this bike to transition from being “on-road” to off-road. 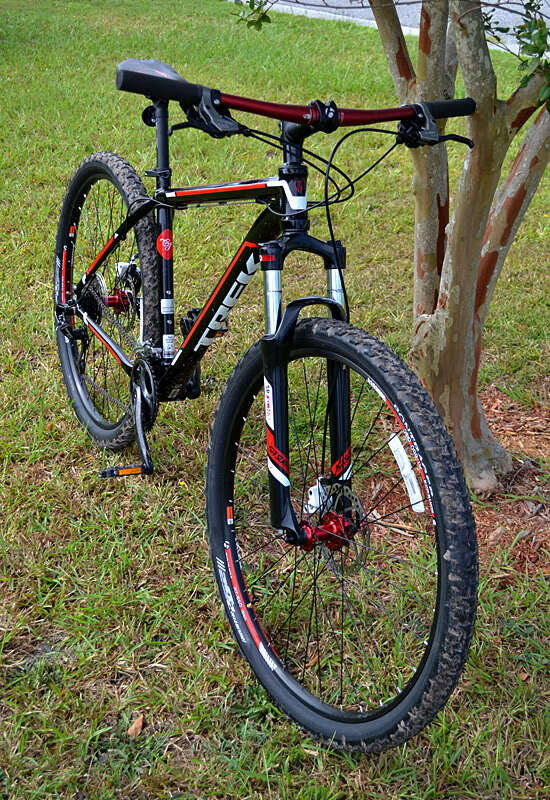 The frame is solid, and Trek’s G2 geometry really makes a difference in steering response and turning radius. Having said this, it’s even a good bike if you do some XC riding. The 2013 Marlin also comes with Sram Derailleurs which are durable, and a very positive shift, not to mention quick! The disc brakes are a nice feature on the Marlin, made by tektro and are easy to adjust. If this is going to be your first purchase of a mountain bike or you want to impress your friends who are always inviting you to go mountian biking, this would be a great bike to show up on.